Although agency life can sometimes feel like a whirlwind; dealing with multiple clients a day, managing accounts and travelling all over the UK, it does present some unique photo opportunities behind the scenes helping clients. 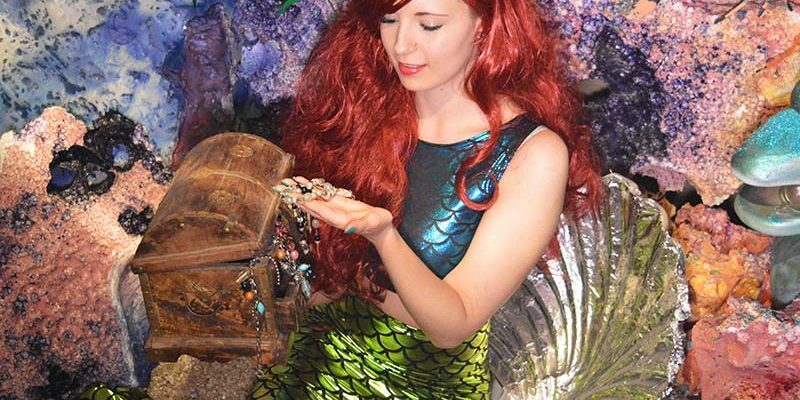 Flamingo provides support for visitor attractions, events and leisure projects, and with this specialist customer base comes some amazing days at work. Whether its exploring WW1 fortifications, feeding penguins, stepping back in time in Victorian villages, or being front row at music festivals there is always a great selfie to be taken! 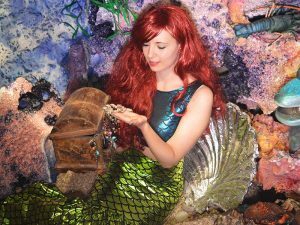 Account Manager Alice finally got to live out her childhood dream, at 24 years old, as she ‘assisted’ client Pirate’s Quest with their August 2017 Mermaid Week photo shoot. 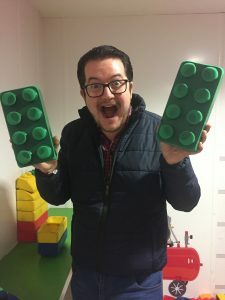 Another childhood favourite was discovered in 2018 when Head of Creative Engagements, Mark, revealed his AFOL (Adult Fan Of Lego) tendencies whilst visiting client One2Eleven. 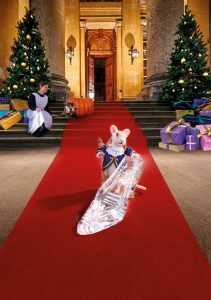 Melodie is the face of Blenheim Palace’s Christmas 2018 events as she happily stood in to help with a photo shoot earlier this year. She makes a great maid and Account Manager at Flamingo. 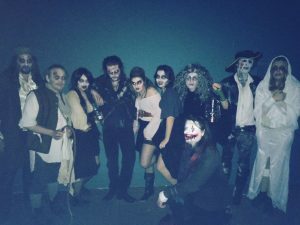 Jaimie didn’t expect to be acting in the 2017 Halloween ‘Ghost Pirates – Fright Night’ to help client Pirate’s Quest when she joined the Flamingo team in June last year! 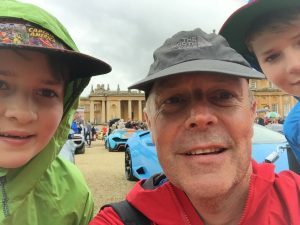 PR Director Drew and the boys visited the Blenheim Palace Classic and Supercar event last year and got to dream about which car they’ll be driving! Managing director Nikki, having 25 years of experience, has also had 25 years worth of behind the scenes photo opps! 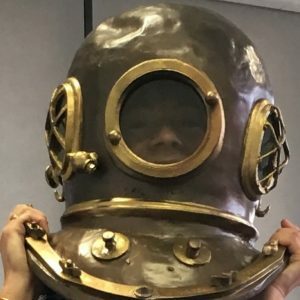 Here she is fashioning an old diving helmet whilst visiting the Mary Rose team. Keep up to date with our blog and social to find out what else we get up to when visiting clients!